Malé City Council (MCC) has dismissed suggestions made by the housing minister that it favours the opposition Maldivian Democratic Party (MDP) when renting out Malé City Hall. An MCC press statement released yesterday (January 11) said the council rents out the hall in accordance to the constitution, laws, and relevant regulations, and that the council does not give preference to any party or individual when renting out the public space. In a tweet posted on Saturday (January 12) housing minister Dr Mohamed Muizzu alleged that the council premises were “not being used to serve the public”, but instead as an MDP headquarter. The council’s response condemned the remarks, assuring the public that all private and public events were held at City Hall without discrimination. The council – dominated by MDP members – also noted that in 2014 alone the council received MVR158,150 (US$10,300) from renting the hall, and that the entire sum has been transferred to the finance ministry to be added to state reserves. Shifa has previously suggested that the government was plotting to “destroy decentralization” after the housing ministry seized numerous plots of land from the council including two parks, the artificial beach, carnival area, south harbor, Usfasgandu, Dharubaaruge, and land near the T- Jetty. With the removal of road maintenance duties in the capital late last year, the council has said it remains in charge only of facilitating construction, issuing death and birth certificates, and cleaning mosques. Last month, the council expressed concern after 377 of its employees were transferred to the Ministry of Housing and Infrastructure without prior notice – constituting over a third of its workforce. Speaking at the time, Mayor Mohamed Shihab said that the council has only been operating within the powers granted to it by the Decentralisation Act, adding that the government has been persistently making its work difficult. In November 2014, nearly all services at the council came to a halt after police confiscated important documents and several hard drives, including the server system necessary for daily operation. Police searched and confiscated the council’s office on the night of November 26 after a search warrant was requested from the Criminal Court regarding a corruption case against council staff. However, the council denied the corruption allegations, which had alleged staff had used documents sent by the housing ministry to gain unlawful advantages. Speaking at the time, Maafannu Hulhangu Constituency Councillor Shamau Shareef said the incident was one of many intended to intimidate the council and to prevent it from providing the services to the people of Malé. October also saw masked individuals wielding machetes cut down over 30 council-owned areca palm trees along the capital’s main thoroughfare, Majeedhee Magu – an attack former President Mohamed Nasheed alleged was carried out by off duty special operations officers. Can decentralisation take root in the Maldives? The Ministry of Economic Development will be handling all business related transactions previously rendered by Malé City Council (MCC) starting from December 14. The change comes in accordance to the Businesses Registration Act, ratified in May 13 by President Abdulla Yameen. A total of 11 transactions would be handed over to the economic ministry including the distribution of permits for the sales of imported goods, permits to establish cafés and restaurants, and the registration of business names. The transfer is the latest in a series of moves in recent months that have reduced the MCC’s powers. Other moves have included the transfer of numerous plots of public land to the central government, the removal of Malé City roads from council jurisdiction, and the recent police confiscation of MCC documents and server files from council premises. Malé City Council (MCC) has opened a new parking lot on a vacant plot of land at H.Heenaamaage in Majeedhee Magu – the capital’s main road. While speaking at the opening ceremony of the facility – believed to accommodate up to 300 motorbikes – MCC Mayor Mohamed Shihab said that since Majeedhee Magu is the busiest street in Malé, specialized parking spots would reduce traffic. “As of now, parking in the lot is free. However, we may take a small fee after discussing it with the people living nearby and shop owners in the area,” said Shihab. Also speaking at the ceremony, MCC member Shamau Shareef said that the plot has been contracted to an Indian firm which wsa to develop a multi-story facility two years ago, but the work had not begun as the company was not able to register in the Maldives. “The contract is still valid and if the government allows the company to register in the Maldives, We would be able to build the three story parking lot here,” explained Shamau. A group of local surfers dumped a pile of garbage outside the entrance to Male’ City Hall today in a second protest aimed at preventing the waste generated by a night market held this month from polluting the Maldives’ capital city. The rubbish pile was dumped at the MCC today (June 19) in an effort to pressure city councilors to organise a formal meeting with the group, so they can collaboratively prevent refuse from the ongoing night market event from polluting the area, the group claimed. The rubbish was collected from roads around the market, known as the ‘Ungulhey Bazaar’, as well as the small park area local surfers refer to as ‘the garden’ located next to the capital’s ‘raalhugandu’ surf point in Henveiru ward. Appalled by the excessive amounts of garbage littering the nearby streets, parks and sea due to the Male’ night market, last week the group of surfers staged a creative protest using the rubbish to try and pressure the city council into action. Although the first protest did prompt responses from the Male’ City Council (MCC) and Go Media – the private company commissioned to organise the market – no formal meetings have yet been conducted to resolve the issue, Maldives Surfing Association (MSA) President Ahmed Fauzan ‘Karo’ Abbas told Minivan News today. “We have also previously sent complaint letters but no one has responded,” he added. “I was [previously] told things would get better, but it’s getting worse,” he said. The surfers today claimed that their second protest appeared to have been more successful. “MCC has arranged an official meeting for Sunday (June 23), which will be attended by MSA as well as the Maldives Bodyboarding Association (MBBA),” said Abbas. He added that although tonight marked the last night of the market, another event had been scheduled for October this year. “We have told the city council we do not want the bazaar to be held here again. 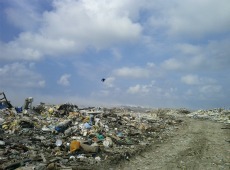 What the public is doing [throwing waste all over the area] is affecting our sport,” said Abbas. Abbas explained that the raalhugandu area had a long association with surfing, adding that the excessive garbage – as well as advertising billboards erected in the area without consulting the community – all negatively impacted surf competitions held in the area. “This is a public space and the public should be consulted before holding a big event [like the night market],” he said. The MCC confirmed today that a first formal meeting with the MSA and MBBA is scheduled for Sunday afternoon. “We scheduled the formal meeting to solve all the [garbage] problems and to discuss what difficulties they are facing due to the night market,” MCC Councillor Mohamed Falah told Minivan News today. “We will solve these waste issues at any cost,” he declared. Raising awareness about the link between human and environmental health is necessary to stop people from haphazardly throwing their garbage everywhere, which is why the surfers are leading by example, local surfer Hamid Abdul Hadhi previously told Minivan News. The self-titled ‘National Movement’, comprising several NGOs and the religious conservative Adhalaath Party, has said it is exercising constitutional rights by holding gatherings at the artificial beach area in Male’, despite claims it has not been granted permission to do so. State Finance Minister Abbas Adil Riza, a member of the National Movement’s Steering Committee, said the group’s followers had the right to freedom of assembly to express dissatisfaction with parliament. He also today (April 11) claimed the movement’s supporters may “storm” the People’s Majlis to protect the national constitution. The National Movement has held a series of gatherings in recent weeks that its supporters have said are targeted solely at parliamentarians and their conduct in the country. The group previously accused MPs of violating the constitution late last year and said they would consider a plan to “break up” parliament if its members’ constitutional concerns were not addressed. Housing Minister Dr Mohamed Muiz today turned to social media site Twitter to claim in Dhevehi that the ‘National Movement’ had not obtained permission to hold its gatherings in the artificial beach area beyond April 8 this year. Dr Muiz was not responding to calls at time of press. Meanwhile, Male’ City Council (MCC), which claims to be responsible for providing the artificial beach area to political parties, said it had filed separate cases with the Maldives Police Service and Anti-Corruption Commission (ACC) over continued use of the land by a group proclaiming themselves as the ‘National Movement’. Abbas Adil Riza told Minivan News today that one of the NGOs making up the National Movement had “most probably” obtained permission to use the land. “We are of the opinion that the constitution allows every citizen the right of peaceful assembly,” he said. Abbas claimed that the artificial beach area was a part of the capital where the public were free to gather, adding that he did not believe use of the space would be an issue if no other parties or groups had reserved the area at the same time. According to Abbas, if the artificial beach area could not be made available for the ‘National Movement’, then MCC Councillors were required to provide land in the capital where they could continue to host gatherings. He alleged that the MCC had tried to block National Movement supporters from holding their meetings at the artificial beach. Regarding the ongoing series of gatherings, Abbas said the ‘National Movement’ was focused on the “singular objective” of not allowing parliament to damage the functioning of the Maldives constitution. In December 2011, former opposition parties – now members of President Dr Mohamed Waheed’s unity government – and a number of NGOs included in the ‘National Movement’ gathered in Male’ with thousands of people to “defend Islam”. Organisers said the rally was a response to what they alleged were the irreligious practices of former President Mohamed Nasheed’s government. Nasheed’s government was controversially removed from office two months later following a mutiny by sections of the police and military. Many of the parties in attendance at the “defend Islam” rally have taken cabinet posts in the new government. Responding to Abbas’ claims today, MCC Councillor Mohamed Abdul Kareem claimed that the municipal council presently held the responsibility to provide permits for the use of the artificial beach area for events and gatherings. He said that with work now being undertaken to ensure the area is ready for use around the time of presidential elections scheduled for September this year, the MCC had requested the land not be used at present by any political organisation or group. Kareem went on to accuse the ‘National Movement’ of not being a registered organisation, but just a name used by Adhaalath Party President Sheikh Imran Abdullah for his own political ends. He went on to allege that as a result of Sheikh Imran’s involvement with the movement, Housing Minister Muiz, who is also Secretary General of the Adhaalath Party, had previously provided permits for a limited period of time to use the artificial beach area for the gatherings. Kareem also rejected accusations that the MCC had any involvement in attempts to try and block or sabotage the National Movement’s gatherings or work. The MCC has itself been locked in legal wrangling with the Housing Ministry over the last 13 months concerning its ability to lease an area of land known as “Usfasgandu” to the Maldivian Democratic Party (MDP) for use as a protest staging ground and other activities. Usfasgandu was handed back to the MDP by the Male’ City Council last month. The area was cordoned off by police in January after the High Court issued a warrant requesting the area be kept under police custody until it reached a verdict on the case. Male’ City Council (MCC) has appealed to the High Court asking for it suspend a Civil Court ruling to hand over the Usfasgandu area to the Ministry of Housing and Infrastructure. The Maldivian Democratic Party (MDP) has been using the area as a protest camp after it was allocated the land by MCC. According to a Civil Court order, the MCC violated the government’s land use plan because it lacks the authority to hand over the land to other parties. MCC Mayor ‘Maizan’ Ali Manik told Minivan News that the city council allocated the Usfasgandu area to the MDP in order to keep them from protesting on the streets around Male’, and that a letter had been sent to High Court today (January 21) asking it to suspend the Civil Court’s ruling. “Usfasgandu is not only for the MDP but for the whole of Male’. Without it (the MDP) would be on the streets. To prevent this we gave them the area. “The government want the MDP to go onto the streets, that way they can say there is no stability in the county and prevent early elections from being held,” Manik alleged. Asked if the MDP would be allocated another area should they be removed from Usfasgandu, Manik answered “If they request for it, we will reply”. The area has been used for protests by the MDP since their former site near the tsunami monument was forcibly dismantled by police and military on March 19, 2012. Maldivian Democratic Party (MDP) Spokesman Hamid Abdul Ghafoor said the threat of eviction is not an issue for the party who, if removed, “will simply have to find a new space”. “Occasionally there are efforts made by the government to go to great lengths in order to restrict freedom of expression and assembly and this is one of them. This should not impact the MDP, we have grown in the past without space,” Ghafoor added. Responding to allegations that the government is attempting to limit freedom assembly, President’s Office Spokesman Masood Imad told Minivan News that “if anything [the Usfasgandu handover] is facilitating freedom of assembly for everyone else”. “By constantly being at Ufasgandu, are the MDP not limiting other people’s freedom of assembly and expression? If the Home Ministry is to take the site accessible for other parties to use the space as well as the MDP, it is not a restriction of assembly. “They could make it like the artificial beach area so it can be used by all parties based on request, I am sure the MDP will be given the chance to use it,” Imad said. Regarding Mayor Manik’s comments, Masood claimed the mayor needs to be more “Male’ mayor” than “MDP mayor”. “Who is to say the MDP will start protesting on the streets if Usfasgandu is handed over? Why do some people think the [MDP] always protest? “Contrary to what Mayor Manik thinks, I don’t think they go around making protests, I think the MDP are good guys,” Imad said. Should MCC’s appeal to High Court fail to suspend the Civil Court’s order, MDP Spokesman Ghafoor stated it would be up to the National Executive Committee or the National Council to take the matter further. “The reason for this would be because the MDP is being denied a constitutional right and cornerstone of the human rights based democracy we achieved through peaceful assembly,” he added. The civil court’s ruling, which orders the area to be handed over within the next seven days, states that MMC’s current use of the area is in contradiction to the agreement made between the council, Ministry of Housing and Infrastructure, and Ministry of Finance and Treasury. Ghafoor further claimed the government has become “very adamant” in taking back control of land from local councils, alleging that the ultimate aim is to prevent freedom assembly. In May 2012, Maldives’ cabinet announced its decision to hand over the Usfasgandu area to the Ministry of Housing and Environment. Following the “non-compliance” of MCC in handing over the area, police were asked to intervene and “take over”. Police raided the MDP protest camp at Usfasgandu on the morning of May 29, 2012, after obtaining a search warrant from the Criminal Court and cordoning off the area from MDP demonstrators. Reasons for the search as stated on the warrant included: “suspected criminal activity”, “damage to public property”, and “suspected black magic performed in the area”. The Ministry of Tourism, Arts and Culture has pledged to take the “lead” in addressing waste management issues in Male’ should the city’s council and the Ministry of Environment and Energy fail to effectively deal with concerns about garbage. Tourism Minister Ahmed Adheeb this week said that the issue of waste management posed an immense threat to tourism in the country, adding that his department would look to actively address the problem should other authorities fail to resolve ongoing concerns by next month. The comments have been dismissed today as irresponsible by the Ministry of Environment, which favours greater levels of cooperation from Adheeb’s department and the wider tourism industry in how waste was dealt with in Male’ and the nearby island of Thilafushi. Thilafushi, where the vast majority of waste from the country’s resorts and inhabited islands is deposed of, has become more commonly known ‘garbage island‘ by both local and international media. Meanwhile, Male’ City Council (MCC) has alleged that it is not being provided sufficient funding from the 2013 state budget to deal with garbage levels in the capital. This funding has been identified by the council as exacerbating the challenges it claims to be facing due to growing amounts of waste and outdated machinery used at the capital’s refuge sites. This week, the council claimed it had been forced to shut one of the capital’s two waste disposal sites due to machinery at the site being inoperable – limiting the amount of garbage that can be handled at the site in recent days. On Monday (December 31, 2012) Tourism Minister Adheeb spoke of the present challenges facing waste management in the country, maintaining that a failure to try and solve current problems with the capital’s garbage would require his ministry to “take the lead” in clean up efforts. Adheeb added that waste management was therefore expected to be a main focus of the Fourth Tourism Master Plan – scheduled at present to be released within the first quarter of 2013. “One of the main issues which have a negative impact on the tourism industry at present is the issue of garbage: the sight of garbage floating in the sea, the sight of smoke from burning garbage as the flights descend to land. This has a very detrimental impact on value addition,” he stated. According to Adheeb, user generated reviews on popular travel sites like TripAdvisor were now cautioning tourists to choose resorts where “smoke is not visible”, causing a loss to the many high-end resorts located near Male’ and Thilafushi. “There is no way we can sustain tourism without solving the issue of waste management. We will wait till the end of February. If by then the Environment Ministry and the MCC are unable to deal with the issue, then we will take the lead, even if it means we will need to spend on it on a voluntary basis,” Adheeb said. The previous government of former President Mohamed Nasheed had signed a waste management agreement with India-based Tatva Global Renewable Energy back in May 2011 to implement a system designed to generate power from recycling waste. The contract has been undergoing renegotiation with the current government as part of efforts to provide what it has called a more “mutually beneficial” agreement – a move slammed by the MCC, which had accused authorities of trying to “sabotage” the deal. However, Adheeb this week was said he was critical of the effectiveness of previous methods of waste management being sought in the Maldives, as well as the attitudes of certain environmental activists. “We need to learn to make do with taking just the basic steps. For example, when it comes to dealing with waste management, we aspire to turn it into gas or electricity immediately upon being burned, and then for it to be connected to Male’ and Hulhumale’ via submarine cables,” he said. Adheeb added that if people were concerned about the environment, they should equally consider the issue of waste management, claiming a failure to solve the issue would make it very difficult for the tourism industry to survive. “Why not just take the basic steps and get rid of the waste? Previous leaders have tried to make Maldives a leading name whenever the topic of environment comes up. But no real solutions were found in the past three or four years,” he said. Adheeb also contended that the present focus of environmental activism within the country was proving detrimental to tourism development, as well as ignoring advances in construction techniques being used by the industry. “From what we have seen, if we try to get an EIA (Environmental Impact Assessment) done for the purpose of beginning construction of a resort, the environmentalists suddenly get very concerned. Or if we try to reclaim land, then again the environment becomes so very important. But Hulhumale’ and Reethi Rah Resort are very good examples. In Maldives, even through reclamation, we can make things natural,” he said. State Minister for Environment and Energy Abdul Matheen Mohamed stated today that while waste management issues could pose problems for the tourism sector, he believed it could be better managed and solved faster if the Tourism Ministry would provide more cooperation on related work. Matheen confirmed that the negotiations with Tatva over a new deal on the previously agreed waste management project had now been concluded. He said that a final decision would be reached after it is submitted for the Economic Committee’s approval this coming week. Aside from future projects to better manage waste, Male’ City Councillor Mohamed Abdul Kareem today claimed that the municipal council has not been allocated sufficient funds for waste management work in the 2013 budget passed last month by parliament. Karrem claimed that the council had this week already been temporarily forced to facilitate alternative methods of shifting large amounts of garbage after Waste Disposal Site Number 2 in the capital was closed owing to machinery failure. “We have managed to reopen the site today, after having cleared up the place again. One of our biggest concerns for this year ahead of us is that the state has not provided our council with any funds to deal with this issue of waste management,” Kareem stated. In a direct response today to Adheeb’s comments, Male’ City Mayor ‘Maizan’ Ali Manik alleged that the waste management issue had been delayed owing to negligence on the part of the current government. “Adheeb belongs to the group of people who are extremely good at ‘taking over’ everything, so there is not much we can do if he ends up taking over waste management work. However, if all goes accordingly, Tatva will commence work in March,” he said. Manik further stated that although it was MCC that had initially signed the contract with Tatva, the Ministry of Environment had now taken over and was proceeding with discussions with the company without involving the council. Manik said that the council had had some discussions with the Ministry previously, where they had pledged support to the project. Chief Technical Officer of the State Electricity Company (STELCO) Dr Zaid Mohamed has said that the problem of state run companies not paying their electricity bills is a long term one, made more urgent by recent rises in the price of oil. “This problem has gone for a long time – a couple of years but lately the bills have been getting higher,” said Zaid. Zaid said that the recent rise in fuel prices was beginning to threaten the company’s ability to operate and so the board made the decision to disconnect certain companies. The most recent figures from the Maldives Monetary Authority (MMA) show the price of crude oil to have risen 9 percent in the last month and 6 percent between August 2011 and August 2012. STELCO has since started discussions with the government to resolve the issue. “We have payments to make to our suppliers,” said Zaid, who was reluctant to discuss individual clients while the company was holding discussions with the government. However, local media reported earlier this week that STELCO had sent staff to both the Maldives Broadcasting Corporation (MBC) and the headquarters of Malé City Council (MCC) to disconnect their electricity. MCC councillor Kareem told Minivan News that the money had now been sent to the finance ministry. MBC have released a statement blaming the government for a lack of financial assistance resulting in the possible suspension of its services – Television Maldives (TVM) and Voice of Maldives (VOM), reported Haveeru. The statement added that it had received warnings for non-payment of bills from several other service providers. “The average monthly revenue of this corporation during the year has been MVR1.6 million. Due to the highlighted financial difficulties most services and other items had been sought on credit,” the statement was reported to have read. Minivan News was unable to obtain comment from the Finance Ministry regarding this matter at the time of press. Haveeru reported that STELCO was owed MVR7.1 million (US$460,000) and MVR6.8 million (US$440,000) by MBC and the MCC, respectively. The paper discovered that STELCO is owed MVR150 million (US$10 million) from various state institutions, including the Malé Health Service Corporation (MHSC), the police and the Maldives National Defence Force (MNDF). The Maldives dependency on oil was discussed yesterday by President Dr Mohamed Waheed Hassan at the World Energy Forum in Dubai. “A development path primarily based on expensive diesel generated electricity is unsustainable in any country, let alone a small country like Maldives,” said Waheed at the forum’s opening ceremony. “Today, we spend the equivalent of 20 percent of our GDP on diesel for electricity and transportation. We have already reached the point where the current expenditure on oil has become an obstacle to economic growth and development,” he continued. President Waheed explained that the current price of 35-70 US cents per KW hour meant that the government was being forced to provide “heavy subsidies” to consumers, giving little option but to move towards a low carbon alternative. The Maldives Energy Authority recently announced that its US$138 million project would convert ten islands within the country entirely to renewable energy with 30 percent of the total energy demands of a further 30 islands provided from renewable sources. “Under this strategy, through installation of up to 27 megawatts of renewable electricity, we will be saving on the use of 22 million liters of diesel per year and reduce up to 65,000 tons of carbon dioxide emissions each year,” Waheed explained in Dubai. “In addition we will be making significant savings from the heavy fuel and other electricity usage subsidies that are currently in place,” he added. Some of the key behind the Scaling-Up Renewable Energy Program (SREP) for the former government said earlier this year that the project had fallen through after political instability following February’s controversial transfer of power had deterred potential investors in the scheme. This figure equates to around US$700 million or almost US$2,000 per head of population, whose per capita income – based on the most recent government figures – is just under US$4000.